When someone quits telling their story of pain and trauma from a past event, that’s clear evidence they’re healed. Right? I say that in the sense they aren’t continually re-engaging with the painful past by bringing it up, hence reinforcing it. They’ve resolved it through some means, and integrated another way of living. Not so fast. For many, that’s only partly true. A large part of them may have moved on, having found a way to reframe it. However, some part may have taken it underground…inconveniently emerging when triggered in any number of ways. It’s the survival response to a perceived threat, even if it isn’t active today. It can be as subtle as procrastination, varying degrees of physical symptoms or full-blown fight-or-flight response. It’s the slippery, tenacious residue that hangs on, not yet convinced its vigilance is no longer needed. Close to two years ago, I became aware of an intervention called Brainsweep. It gained my interest on a number of levels. First, it was said to be quite effective for PTSD ⎯ so widespread in the world these days ⎯ and troubling memories that cause issues in present-day life. I know without a doubt…we’re holistic beings. If healing takes place in one area of our make-up, it will have an effect elsewhere within our system. That includes extension to family and others. So, that was attractive. Second, it appealed to me because there was no need to disclose the content of the issue at all. No re-engagement of the problem. Finally, and perhaps the most important, it’s a safe, simple set of techniques you’re taught so you can do it for yourself whenever needed, or as a practice toward prevention. Once you’ve learned it, you’re not tied anyone…unlike other methods. You’re autonomous. You’re empowered. The effect is immediate and maintains. There’s no need for the mind to understand the issue or know the cause. What a relief. No need to get wrapped around the axle. In fact, that would get in the way. Brainsweep works with the brain and an easy technique using the hands. That’s it. I became certified in Brainsweep interventions. I’m offering it now under the life enhancement coaching part of my work, sometimes in conjunction with my Lifepath Design program. But before I expanded my practice, I wanted to make sure it works as reported. The first stop was myself. I’ve undergone powerful, significant changes in my life, undertaken with intent, over the last 25 years. With all that, there were a few areas that I knew had not completely cleared, that still popped up periodically in annoying ways. In self-administering Brainsweep, they released. Circumstances that used to trigger a response…just don’t. Most profoundly though, I was diagnosed with a rare, incurable eye disease that had increasingly interfered with everyday functioning, aside from my ability to work. I returned to normal functioning after using an advanced level of Brainsweep over a 5-day period. You can read my story here. Over the last 18 months, I’ve taught it to a number of people dealing with anything from PTSD to painful physical issues to disruptive behaviors. They’ve used it successfully to alleviate or completely expel their symptoms. You can read some of their testimonials here. I’m now open for appointments to teach those who want relief and are committed to their own health and wellbeing. It doesn’t matter where in the world you are, I offer sessions online via video chat. I also teach in-person sessions locally in the Prescott, Arizona area on a limited basis. Just get in touch. This 1981 documentary takes us back to the time when women were defined by laundry and, in many parts of the world, still are. As bizarre as it sounds, Director-Producer Roberta Contow shows us this truth—as stated in so many words by the women she filmed. Some reading this review will not have the faintest memory of clotheslines—the time before dryers were common—and certainly not of washboards. I wasn’t around for the latter. But viewing the film caused me to look back through my early years to remember my mother setting aside Mondays for laundry day. How she’d set up the ironing board in the spare room, sprinkle water on clean clothes and iron for hours—even the sheets if memory serves—and starching my father’s shirts. My mother kept any complaints to herself. But just witnessing this drudgery made laundry an onerous task to me—one I put off until absolutely necessary to this day. And I never learned to fold sheets well, probably on purpose. For some, the perfect fold brought a sense of pride and artistry. The surprising part to me —albeit presented with humor—was how women judged other women related to this totally irrelevant category, which spoke to how little power they had that they could only unleash any frustrations on their own kind. If the laundry wasn’t organized on the clothesline by color and type, or upon inspection a speck of stain remained…well, it said something was lacking about your neighbor. Heaven forbid if there was nice lingerie on the line. That said she was cheating on her husband. I’m quite sure few women of those times recognized how something so trivial automatically became part of their identity by birth. It was just something expected and accepted even if they secretly hated it. Watching this film caused me to reflect in what other ways any of us—women and men— automatically assumed, without question, stealth mores. Clotheslines is a film to watch especially for these times when—at least in Western culture—each of us has a voice…that we can make heard by our choices. What is onerous is not something to abide. View Clotheslines online free on Folkstreams. Highly recommend setting aside the 32 minutes it takes. Also available on DVD for purchase directly from Roberta Cantow by emailing rcantow@originaldigital.net. I’ve just started reading Gloria Steinem’s new memoir My Life on the Road…and I’m held. Its grasp started with an excerpt on the jacket flap. Steinem is now in her 80s…and she still travels. She writes how the word ‘still’ entered her life when friends would say: So you’re still traveling? As if it should have a timeline on it. It all started in childhood when her father would consistently throw the family in the car and take off cross-country to discover what they would find. Reading just these first several pages is causing me to reflect on my own life—my own odyssey that has brought me to where I reside now…on the road…returning to ground the experiences at home for a few months or less before resuming. It occurs to me that many of us need to be given ‘permission’ to travel, to step out of the comfort zone called home. I mean travel in the sense of journey…not as a tourist but to viscerally experience the land and people…to take a risk…to open your mind. It’s not a crazy or frivolous pastime. I’ve traveled in 31 countries and 35 US states. A good number are still on my list. The road is also in front of me. I’ve made friends and created deep relationships. I’ve gone places few venture—over and over. Many have entered my bloodstream and reside in my heart: shaping my lifework, writing and art. Probably other expressions as well. It’s my way of life: my choice. But my introduction was not unlike Gloria Steinem’s. Both my folks came from a small town in East Texas. Neither had been exposed to other ways of life outside their geographical area but were well familiar with tough times. I think it must have been the need for more than just survival that initiated their leaving. My dad joined the Air Force not long before I was born. Within seven years we moved four times. But the big one that opened the road for me was our move to Paris for nearly five years. By that time my dad had become an attorney, speaking French with his Texan accent, defending GIs in French courts. On our way to Paris. My father had a place to go to every day, an office and colleagues. My mother didn’t. I put myself in her place and what it must have been like for a small town girl who spoke no French to step on the Metro, alone with her child in hand, and travel like any other Parisian in that big city. We did it consistently. I have distinct remembrances. Some of my fondest memories of childhood and adolescence are traveling through the Spanish and Italian countryside, a month at a time, and all the shorter trips as a family we were able to make, wandering the streets in tiny villages, eating unfamiliar food, hearing languages strange to my ear. This is one of the biggest early gifts my parents gave to me—curiosity and appreciation—even though I’m sure they didn’t realize it at the time. After we returned to the US, I was stationery between the years 14-17. But ventured out after high school graduation to make the requisite trip to Myrtle Beach and the Smoky Mountains, my mom going with me after a friend pooped out. Then at 24 I moved to Tehran to work for six months…and I’ve been on the road ever since. I could never be just an armchair traveler, dreaming of the journey but never embarking. Obstacles? That’s just the mind creating distractions, attempting to keep you mired in the status quo. It’s a signal of being on the threshold, especially so the louder the internal dialogue. But if you move through your fear—however it presents itself…thoughts of financial scarcity, overwhelm, safety concerns, the myriad rationalizations—ahhh…there the journey presents itself. When I started this blog in 2012, I posted Spiritual Travel: Destination or Process? which I originally wrote for my newsletter around 2005. I find it still to be true today…and more. Imagine this … You wake up in the dead of night. You had settled yourself onto a rough pallet in this rustic adobe room some hours before and drifted off to sleep, feeling the sharp contrast between the cold on your face and the warmth of your body in your sleeping bag. But suddenly you’re not alone. A few feet away, the door to the outside flies open and a Quechua man strides in. He crosses in front of your bed, glancing over at you and peeks into the rudimentary bathroom just beyond. Then he turns around and strides out. About that time, you glance across at the window and see several Quechua faces staring in at you. Strangely, you can see their features clearly in the glow of a light—even though they should have been backlit by the full moon. That’s when you realize you’re levitating slightly…and can’t move. Your body is paralyzed, hanging in space. You’re terrified. You attempt to scream and nothing emerges. But you can feel the sound building in your throat trying to burst out. Your eyes dart frantically around the room. There’s a diaphanous figure over in the corner that begins to float toward you. Your heart pounds as you struggle inside your paralysis. Then the figure sits beside you. You feel a loving energy projected toward you. All your fear disappears. You awake the next morning refreshed…with every detail of the last night’s occurrence emblazoned in your mind. This is not a story I invented. 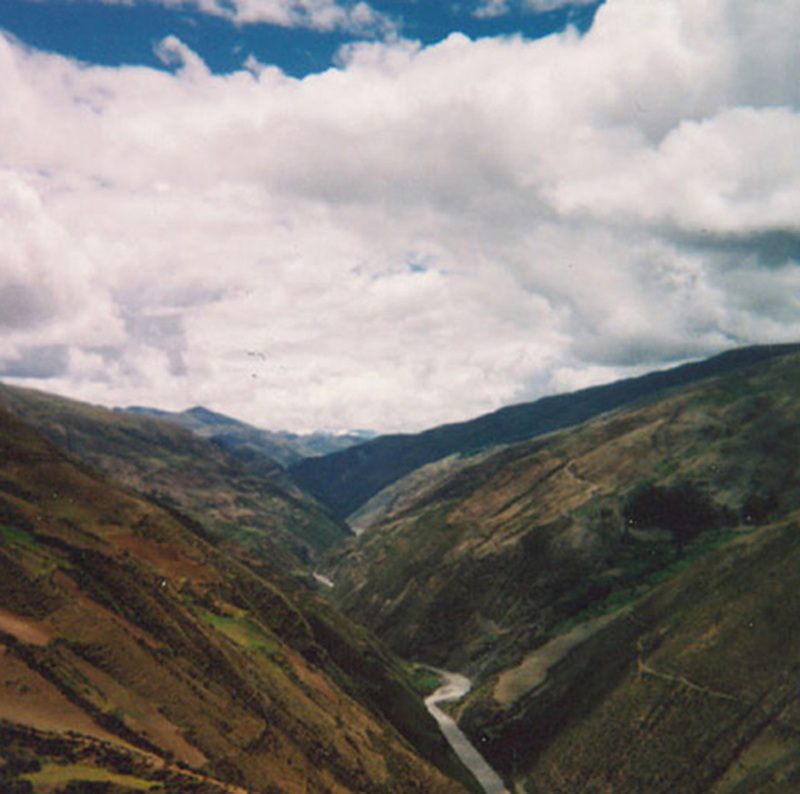 It happened to me in a remote site in the Andes—another strange event along a string of others that were similar in the mechanics. When they occurred, there were always other-dimensional aspects for which I had no explanation. The only thing I could isolate that was different from other experiences I’ve had was the paralytic nature, and this particular type had only thus far happened when I’d been away from home, usually during time set aside for a spiritual activity. I devoted part of my book Standing Stark to paranormal activity in my own spiritual evolution, not to titillate but to offer readers knowledge toward what may occur during the process in the way of energy, visions, physical sensations and more. Some deeply meaningful, others not so much. There’s little in spiritual literature that addresses these things. Somewhere along the line, I heard the term sleep paralysis and began to wonder if there was an explanation for my experiences. So when Ryan Hurd’s book came to my attention I had to read it. Early into his book, there’s a chapter on personality characteristics of life-long sufferers. Some of those he lists pertain to me. Others don’t at all. He goes into various components of the SP (sleep paralysis) experience. Again, there are some common aspects to mine. He links SP to lucid dreaming, hypnagogic visions and core beliefs. It also may be one symptom of spiritual emergency, a condition validated in the DSM IV, the diagnostic manual for the American Psychiatric Association, that may occur when people are undergoing deep spiritual questioning or other significant life transitions that create chaos. Stan Grof and the late Christina Grof, known for their work in holotropic breathwork, spearheaded research in this area in the 1980s and were central in providing a spiritual emergency network for those who needed support during such a crisis. There’s a chapter on what Hurd calls The Stranger, meaning the spirit-type figure that appears in “about 14-18% of isolated SP cases” with details on types of experiences. I’ve experienced most of them, some without the SP component in a fully awake state in broad daylight. Much of the information is addressed in relation to what answers scientific and psychological studies can give for something that occurs across cultures and stretches way back in history. It’s particularly prevalent in Indigenous cultures that value dreaming, parallel worlds and the life instruction that can come as a result, as well as those who inhabit places that have strong geomagnetic characteristics. Hurd offers practical ways to deal with SP and apparitions—and gain self-mastery in the process. These include: grounding yourself, diet, lucid dreaming and out-of-body practices, even ways to trigger SP if you’re so inclined. This book doesn’t answer everything having to do with the events in my own life, but it’s certainly a good start, guidance always being welcome. 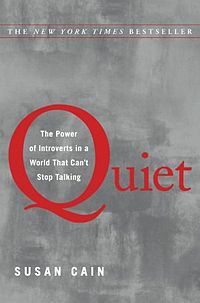 I recommend this book certainly if you’re undergoing anything described in this review, or for anyone who is curious. Available in print or e-book on Amazon. In The Energy That Finds Its Source, I shared how I stumbled upon a strategy through meditation that greatly affected my artwork in a positive way. I want to build on that by discussing something a number of us do unconsciously—but brought to consciousness can generalize to different contexts of your life. It increases clarity and mental/emotional flexibility, in addition to creativity. I’ll use writing as a springboard for an example here. One of the biggest challenges fiction writers have is to breathe life into the characters of their stories, to make them believable. This is particularly true if your book is character-driven. You want readers to connect with the story and those in it: to love or hate them. A reader of my latest book Portals to the Vision Serpent wrote to say how she couldn’t stand Sybilla, who features prominently in the novel—until she really understood her. Then she had great empathy. Even if the book is plot-driven, you want the characters’ actions to make some level of sense from their eyes. We all have a specialized, individual template we live by. Here’s a quick review on how that happens. Your brain codes experiences you have. The original coding usually takes place early in life. The coding becomes your perceptions…translating to the beliefs you have about yourself, others, the world in general, even what’s possible. This template also becomes the filter through which you experience your life. You develop strategies for thinking and living that further reinforce the original beliefs—those that support and those that get in your way. When something significant happens to disrupt the old beliefs, things can shift dramatically. Characters in a novel are no different. Here’s a way to uncover their templates by “stepping into” different perspectives. By using a method like this, you also invite your reader to tag along through your writing, to undergo the same discovery and identify with different characters. They’re playing out the human condition, no different than the rest of us. We are all who we are based upon where we’ve been. But when something of great enough significance interjects itself, triggering a change in one character…it also affects the others in close proximity. That’s how things get shaken up; the story becomes so much more interesting; the characters can grow in various ways. Of course, you can use what I’ve written here as a guideline to explore other aspects of your own life, not just your creative outlets. This is a brief primer toward self-discovery and relationship dynamics that I use with clients as a springboard for transformation. I’ve adapted the content of this post from my mentoring program Navigating Your Lifepath addressing how to live through your deeply held values—and thrive. Mary Trainor-Brigham’s Deep Cinema deserves your time and attention. I found myself re-reading pages and then sitting, to give the words an opportunity to enter my interior space. Immediately evident, this is a book written to connect with your Indigenous Soul, as the author calls it, the one many of us ignore in this Middle World. She guides us to delve into movies and stories so that they play back to us our own humanity, initiatory passages and further potential. I’ve studied Joseph Campbell’s work in-depth: his instruction on myth, the Hero’s Journey and places we can readily see examples in film and storytelling. Deep Cinema adds to that work in a way that makes it unique by overlaying shamanic templates from Indigenous cultures. We’re then offered the Soul Compass, a model …designed to transform life from a series of dogmatic dictates or chaotic occurrences…into a rich, sacred Self-defining sojourn which we gladly undertake…the key here is that life becomes meaningful… The path from Child as Nest Dweller to Elder as Diamond Cutter and Pearl Spinner shows the gateways—mundane to spiritual, balance of Female as Womb Weaver to Male as Navigator—that we all must pass through in order to morph into the next level of growth. I was glad to see The Serpent and the Rainbow movie included as a failure at translating anthropologist Wade Davis’ book by the same name. Instead of portraying the rich layers of the Voudon traditions Davis experienced, Hollywood chose to further the cartoon-like, fear-based image of practitioners. Mary recommends Divine Horsemen: The Living Gods of Haiti as a true portrayal. I had already viewed a number of the movies covered in the book: Whale Rider, Mindwalk, Capote and others. But I’m going to go back and see some again with new eyes and Deep Cinema beside me. As I was reading, I thought to myself it would be really nice to have an index of all the films and where they’re discussed in the book. I was pleased to find just that at the end. Bottom line: Deep Cinema is not just a reference but also an ally for the spiritual journey. Shadows are a slippery aspect of human make-up. At times, we hear their whisper from the background. Other times, they bellow in the foreground. When the shadow side gets triggered we’ll know it through heavy emotions, bodily felt sensations and self-talk we experience. The trick is to recognize what’s occurring and the source. When we attribute the cause to another person and respond in a negative way, be assured: The cause resides within us, not them. Understand this isn’t about condoning true detrimental behavior on the part of someone else. It’s about separating out what’s ours and what’s theirs in order to heal. Shadows are the parts of us that we’ve disowned and repressed because we don’t like to experience them and what they bring up. Some examples would be: a part that has the need to control, or is critical, or feels like a victim. The source has to do with unconscious limiting beliefs, most often developed early in life. It’s possible to turn these around. There are also shadow parts that may be underdeveloped in other ways. For instance, there may be a part that aspires to something like creative expression or leaving the “day job” to move into “lifework that matters.” But to date, the aspiration remains fallow, and we focus instead on all manner of rationale not to take even the first step. If there’s no investment, there’s no effect. This is what I mean by that statement: If we’ve transformed those parts of us that need healing, then someone else’s behavior is no longer a negative mirror. We don’t project onto them what we need to attend within ourselves. We know we’ve moved on when we can be in their presence without responding as we previously did. We notice the behavior, but it has no effect on us, other than awareness. We can go on about our business without getting triggered and responding in the old way. In healthy relationships, people support each other in positive ways. Support does not mean taking over a role for the other one. It means encouraging and teaching each other through role modeling or, if asked, directly rather than just assuming control when there are no agreements. It means allowing each other to stumble, to see the positive intention behind the behavior, and have empathy. It means being unconditional with each other, even when it’s difficult and where to go from there is yet unknown. If we hold a space toward opening, all benefit. We’re all in this together. The outcome begins with each one of us. Look at your own life. Explore the dynamics of your relationships. If your shadow side gets triggered in some way then ask these questions of yourself. What do I want from that other person that I need to develop in myself? What do I dislike in the other person that I’ve disowned in myself? What messages from that other person trigger a negative response within me? Truthful answers to these questions are markers of progress on your own spiritual development, fodder for the deeper journey and healthy relationships that come as a result. If you’d like information on Navigating Your Lifepath with self-guided or private mentoring options, go here. 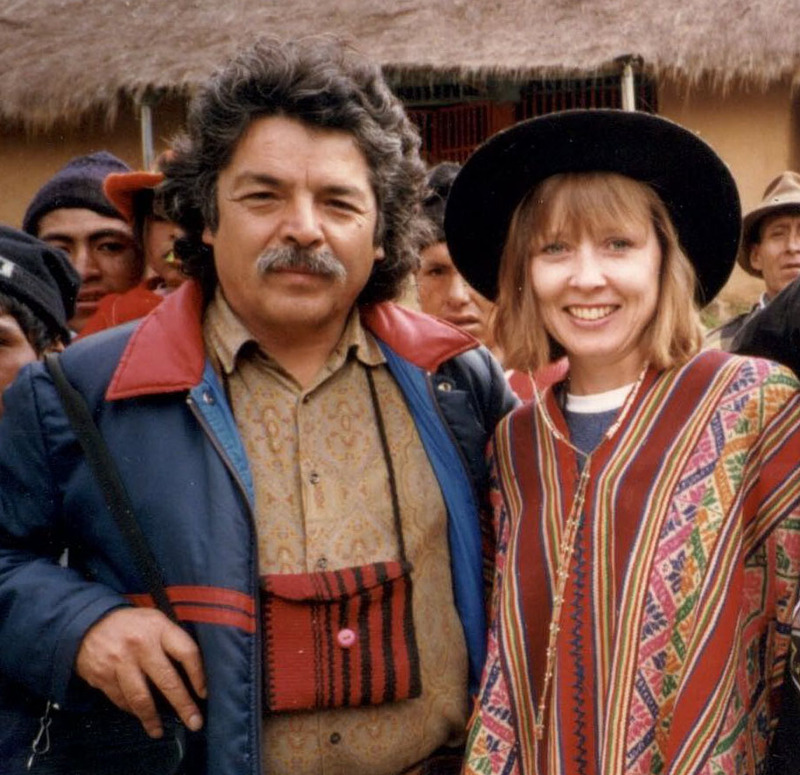 Don Américo Yábar and Carla in 1996 at the Yábar ancestral home outside Cusco. I must have given him a blank look at the time, being so in my head as I was. It took me a while, but I finally caught on. It’s been my focus ever since to follow a path of integration. Not losing my mind completely though, I find that it does serve me in certain ways to navigate this culture. It’s more about losing the smallness the habitual conscious mind often demands. It provides rationalizations that can keep us in our “place” through habit; or the part of us that wants to control—which we all have to some degree—that loves the hard edges of logic and facts. We miss so much if we think things must be seen and known in order to believe they exist. There’s an aspect within any of us that generates resistance when we consider a larger life than the one we’ve been living, to align fully with the Core Self. That’s because we’d step outside boundaries, ways that are known. That’s a normal response. But it’s only through opening to what is out of habit that we move beyond what has held us back, grow and discover what’s possible. No invention or transformative process has ever come from thinking inside the box. My work is with folks who want to live through their deeply held values. A while back I was mentoring someone right upon the threshold, ready to move into transition. She knew the direction she needed to go. Yet, a part of her was petrified; she literally felt frozen in her body, unable to make a decision. We used a process that moved her into the reality she envisioned in order to try it out, well beyond all her worries. As she “looked back in time” she said, “Why was I so scared? Make it all such a big deal? It seems like nothing now.” With the portal established, she took the option her heart told her to take. If we make decisions through the Core Self, where spiritual values and intent reside, choices are always pure. No subterfuge. No rationalization. Only what speaks of compassion, integrity and unconditional being. Only what’s most beneficial for all concerned and contains clarity. For me, it’s about following energy. It’s a felt sense. This is the part about losing my mind. I recognize when I’m once again at a crossroads, which can happen in any moment, and the true direction beckons. It’s compelling. I know it holds truth, even if I can’t put it into words. This is so whether it has to do with my work or personal life. The part about using my mind comes in very handy with grounding things into everyday reality, strategies to put something in place. I believe in integration—not either/or. Interchangeably, I may refer to this portal to Cosmic Consciousness as the Infinite, Core Self, intent or place of the heart. You’ll have your own reference. It’s a felt sense of interconnection with All That Is. You develop the alliance by becoming your own Witness—gently catching yourself, fine-tuning your beliefs and resulting actions—then losing your mind to integration with the heart’s wisdom. And repeat the process until there’s no need…because we’re human. Note from Carla: If you find yourself consistently bumping up against blocks or clarity has taken a vacation, take a look at Navigating Your Lifepath. For over a decade, folks have made significant positive shifts in their lives using my program—and kept the changes.